Evidence Based Medicine and Social Investigation (EBMSI) provides support for families and caregivers who have been accused of abusing infants and children in their care. Although child abuse is a real and serious problem, so is over-diagnosis of abuse. A long list of medical conditions—including pregnancy complications, prematurity, metabolic and genetic disorders, infections, vitamin deficiencies, and short falls—can cause intracranial symptoms similar to the brain injuries often seen in battered children. When parents or a caregiver cannot explain what looks like a “non-accidental” injury, not only are they accused of abuse, but their child may not receive the medical care he or she needs. EBMSI is a bridge between families and the medical and legal experts who can help ensure a just and healthy outcome for everyone. Doctors familiar with the mimics can often identify the true causes of a child’s condition, or recommend tests that have not been done. 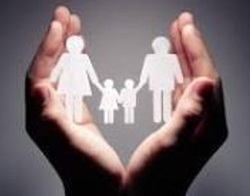 Lawyers can help protect not only the safety of the child but also the rights of the family. Welcome to our site. If it is research and articles you are looking for, please visit our sister site at: http://ebmsiresearchgroup.weebly.com/ The right-hand column contains links to specific articles. From the Directors of EBMSI.